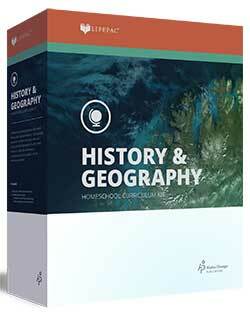 Looking for a complete history and geography course for your homeschool student? Each Alpha Omega LIFEPAC History and Geography course includes everything you need to teach it. The LIFEPAC history worktexts are magazine size. 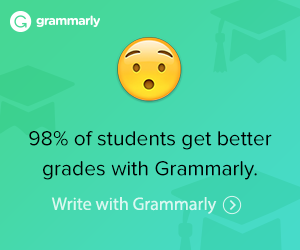 Your student works on one at a time per subject. It’s easy to take student worktexts when you go places. It’s ok to take longer on one subject and work faster in another. The magazine-sized worktext is less intimidating than a large textbook. Lessons include reading, exercises, projects, reviews and or tests. This is a Christian mastery-based history and geography worktext curriculum. 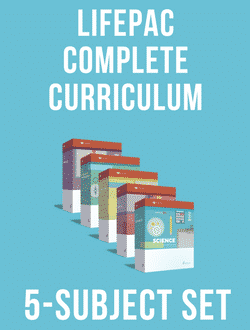 Each boxed set has a Teacher’s guide for that grade and subject. The LIFEPACs include the subject text, exercises, projects, review, and tests. Students who can read can work more independently. Separate student sets are available if you have additional students. It’s discounted all year long at Lamp Post Homeschool. There are 2 Teacher’s Guides and 10 LIFEPAC Student Worktexts in the LIFEPAC History & Geography 1 Set. In the History 1 Student LIFEPACs there are ten individual booklets for one extra student. People Depend On Each Other. There are 1 Teacher’s Guides and 10 LIFEPAC Student Worktexts in the LIFEPAC History & Geography 2 Set. In the History 2 Student LIFEPACs, there are ten individual booklets for one extra student. There are 10 LIFEPAC Student Worktexts and 1 Teacher’s Guide in the LIFEPAC History & Geography 3 Set. In the History 3 Student LIFEPACs there are ten individual booklets for one extra student. Note: These Student LIFEPACs are ONLY compatible with the 2012 edition. and Our World In Review. In the LIFEPAC History & Geography 4 Set, there are 10 LIFEPAC Student Worktexts and 1 Teacher’s Guides. In the History 4 Student LIFEPACs, there are ten individual booklets for one extra student. There are 10 LIFEPAC Student Worktexts and 1 Teacher’s Guide in the LIFEPAC History & Geography 5 Set. In the LIFEPAC History & Geography 5 Student LIFEPACs, there are ten individual booklets for one extra student. and Development Of Our World. In the LIFEPAC History & Geography 6 Set, there are 10 LIFEPAC Student Worktexts and 1 Teacher’s Guides. In the LIFEPAC History & Geography 6 Student LIFEPACs, there are ten individual booklets for one extra student.